What is a freediver course like? But what if I tell you that nearly every human would be capable of doing a freedive down to about 20 meters. It’s mostly a matter of learning a new skill in a controlled and safe environment. You will be amazed what the human body is naturally capable of. And the most important part about freediving is to do everything in a calm and relaxed manner and learning that you mind has control over your body to a certain extend. 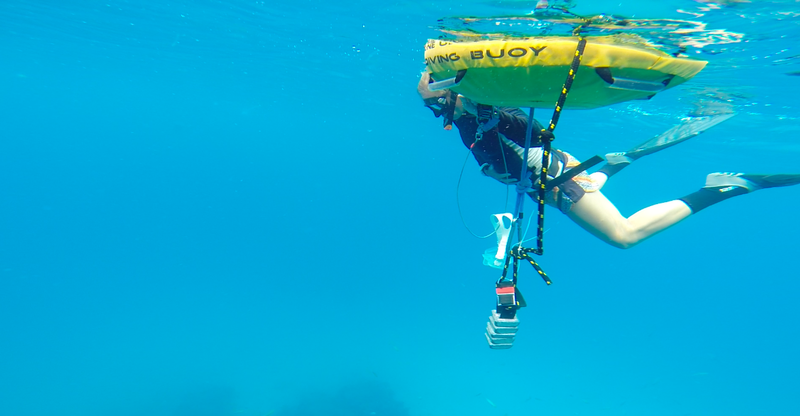 You will be reliant on your own capabilities and move freely under water without the need of any heaving scuba equipment. The best way to learn freediving is to do a course which takes about two days. An experienced instructor will teach and guide you through the course. With a step by step approach you will gain confidence in your own capabilities as you gain more knowledge, practice skills and gain experience as you progress. Your instructor is creating a motivational learning environment, making sure everything you do is safe and giving your personalized feedback so you can progress in your own pace. During an academic session and home studies you are first gaining knowledge about equipment, environment, physiology, skills and safety for freediving. Your instructor will explain you everything you need to know to start with freediving and making sure you understand everything through quick quizzes and easy tests. On this basis you will start doing your first breathing sessions and breath holds on land and see what you are already capable of. Just after this session you will already hold your breath longer than ever before. Most people reach about a two minute breath hold on land. This also gives you the chance to experience some body sensations like feeling full with a proper big breath, the urge to breath and first contractions of your diaphragm when holding your breath. Importantly you instructor will also teach you proper equalization techniques for freediving. Later in the pool you will start of learning basic skills like duck-dive, buoyancy control, finning and streamlining. Putting it together you will do the first pool lengths diving under water and building up confidence in yourself. As for freediving it is crucial to have a trained buddy you will practice safety skills in the pool before applying them in the open water later. Heading out into the ocean for the first time you will start with some shallow dives to see how you are feeling diving down. Starting with some freedives where you pull yourself down along a descent line you can make sure you are equalising correctly. Initially your freediving instructor will always dive down together to provide safety and give you valuable feedback to improve on your next dive. Quickly you will start finning down and greatly improve the depth your are diving to. Gaining more experience freediving down quickly you will learn to properly safety other freedivers as a buddy. Within the second open water session you can refine your technique and reach greater depths of up to 20 meters. Becoming more comfortable with every dive you do. You will be more aware of your bodies sensations while freediving and learning you can control most of them by staying in control with your mind. Your instructor will rehearse the safety skills you did in the pool before and you practice rescuing another freediver in a shallow water blackout simulation. 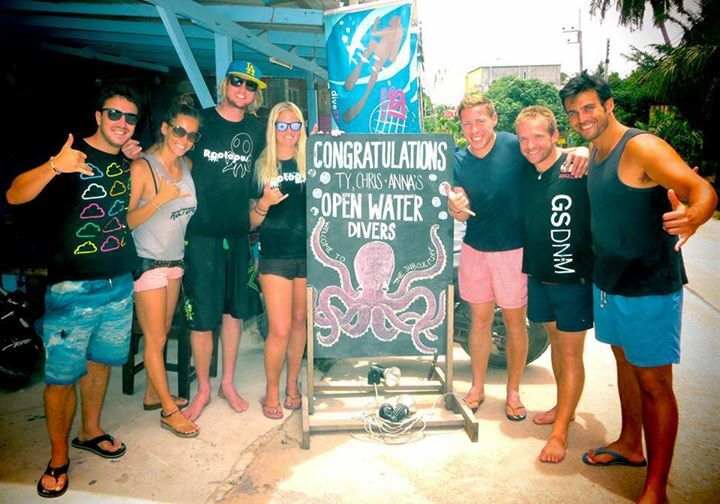 Finishing the course you will be a certified freediver and being able to go on fundives with freediving centres around the world and continue your education as an advanced freediver. But most importantly you have learned a new skill you can enjoy and benefit from throughout your life. 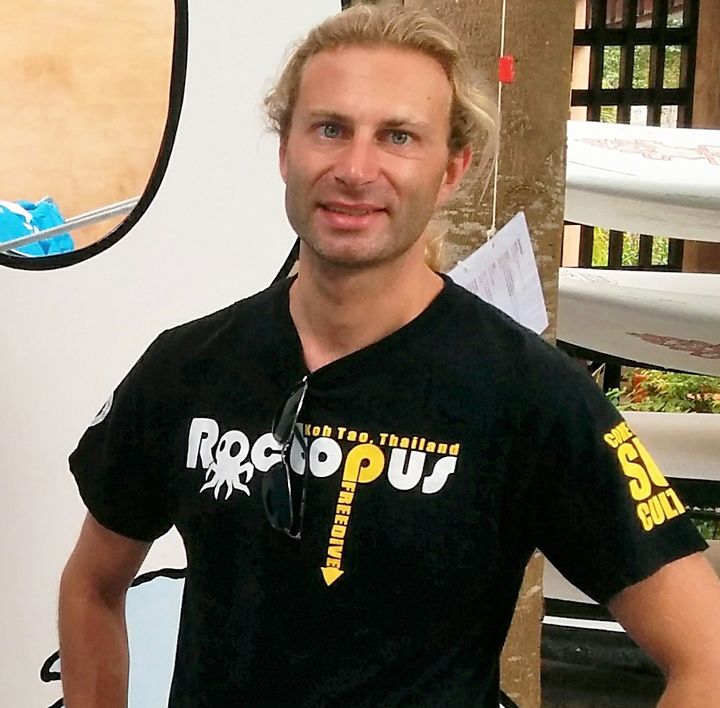 Heiko started to freedive on his travels throughout South- and Central America. 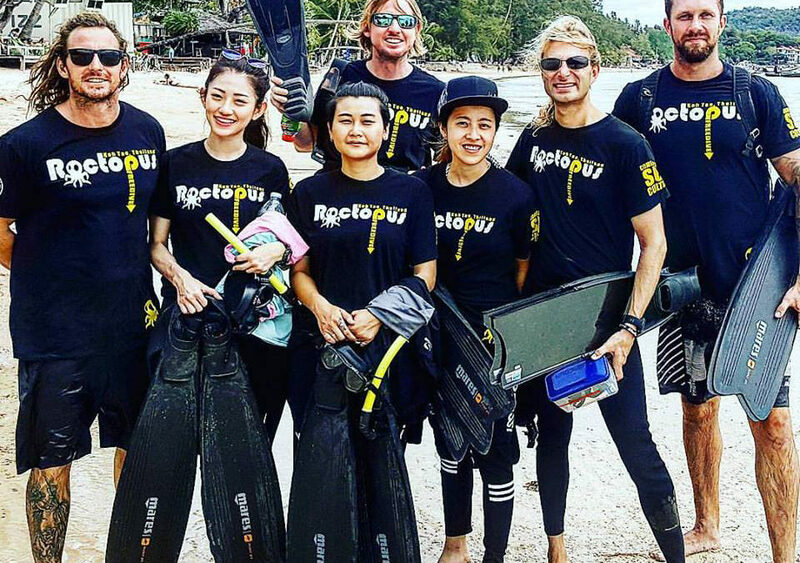 Being passionate about the sport he became a freediving instructor and is currently teaching for Roctopus Freedive on Koh Tao.